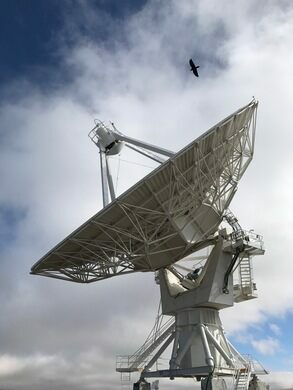 Throughout the 1960s, during the aspirational fervor of the Space Race, the emerging field of radio astronomy made great strides—and largely thanks to an Australian engineer named Ron Bracewell, who, among other pioneering contributions to the field, created one of the world’s first radio telescopes. 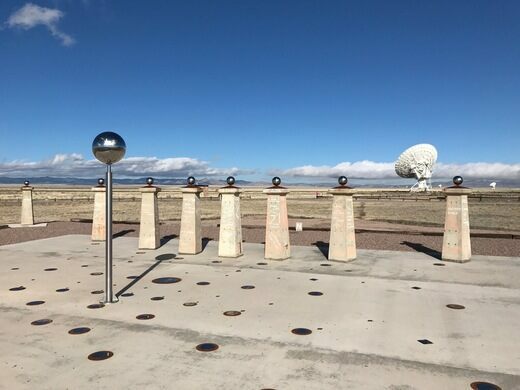 Using radio signals, Bracewell’s breakthrough telescope produced images of the surface of the Sun and mapped the solar temperature every day for 11 years (the length of a solar cycle). 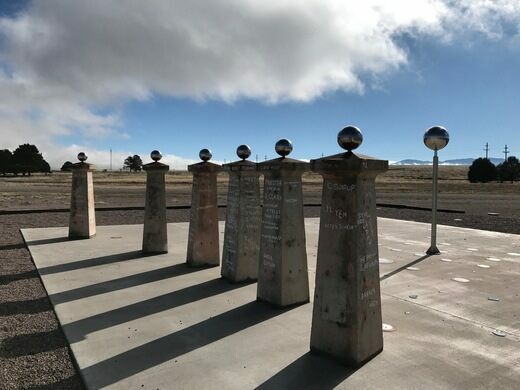 This solar activity information was used by NASA during the Apollo missions to the Moon to, among other things, predict solar storms that would have endangered the astronauts. 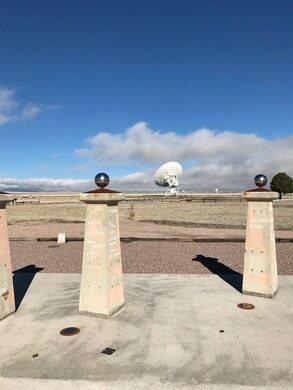 The radio telescope, located at Stanford University, consisted of an array of dish antennas each placed atop a concrete pier. 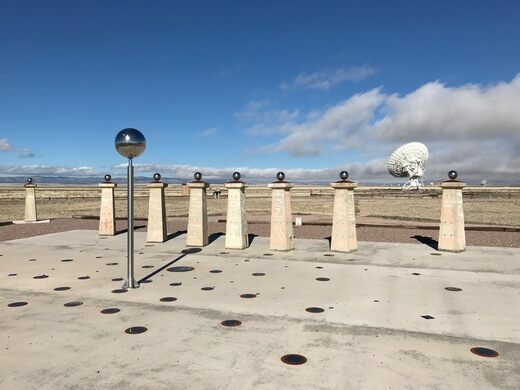 The array was abandoned in 1980, but 10 of those piers were rescued in 2013 and brought to the VLA radio astronomy observatory in New Mexico, where they were integrated into a radio sundial there as a tribute to Bracewell, who passed away in 2007. 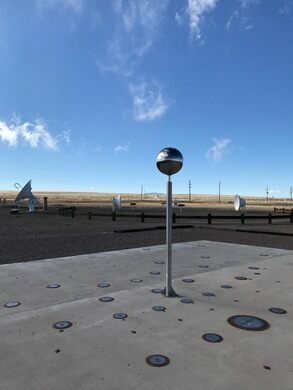 The Bracewell Radio Sundial at the VLA tells the time of day, the time of year, as well as some more unusual applications, such as marking important dates and celestial objects in the history of radio astronomy. The winter home of thousands of beautiful snow geese and sandhill cranes.